Last day of warm and cozy week. We started out the week with instructions to the Twirly Crochet Scarf, a flower hat for the little girls, a simple yet delicious macaroni chili soup recipe and the Striped Children’s Scarf. These were easier to make than I thought. I followed the instructions from a book I borrowed from our local library. 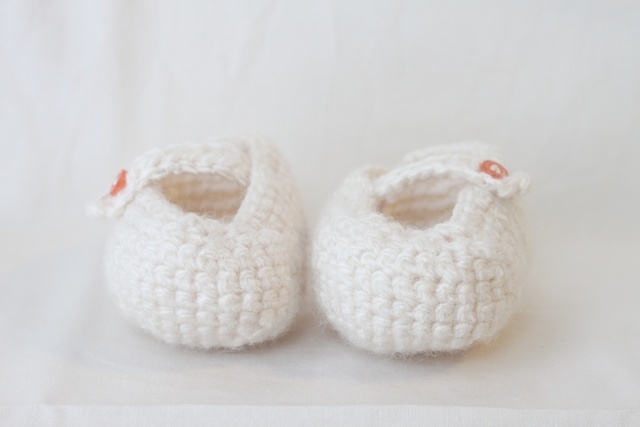 I just love these cute little mary jane booties for babies. I made this pair within 3 hours. 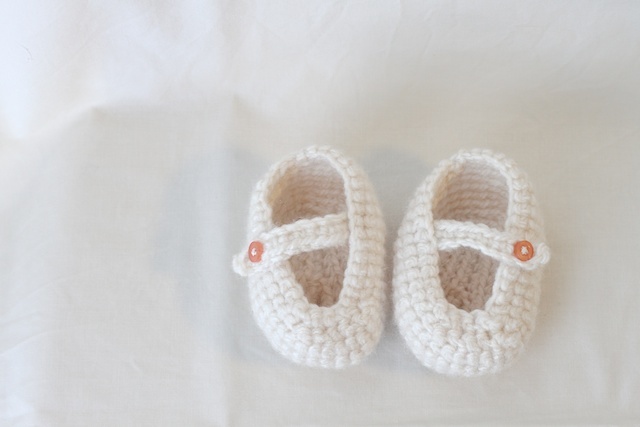 These will be great baby gifts for my friends who are expecting girls. » Tell me… How do you keep those newborn toes warm? 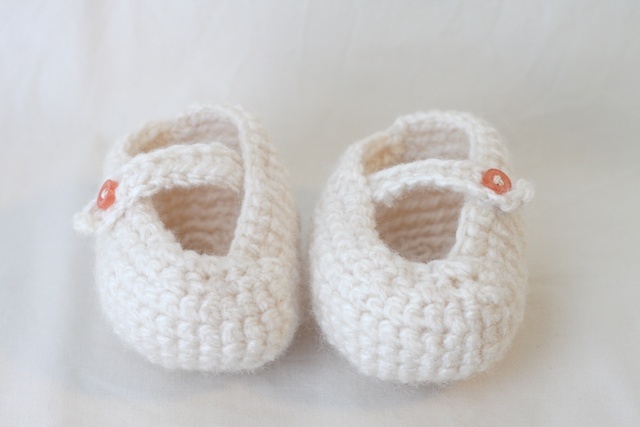 Do you remember the name of the library book you used to crochet these darling little shoes? These are so adorable! I love these… do you have the pattern of them?? ?